Timothy Wilson Smith was a writer and lecturer, an expert on history, France, art history, and the cinema. While studying at Cambridge University, he converted to Catholicism and his desire to become a monk culminated in 18 months of theological study in Rome. However the monastic life did not work out, and he became a teacher. 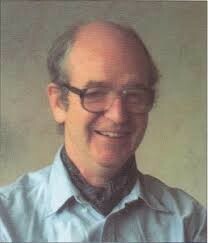 Timothy taught History, English and Art History at Eton College for 26 years. He was also a tour guide at Versailles and Avignon and a lecturer for the WEA and Cambridge University Institute of Continuing Education. Timothy wrote several books, including Delacroix: A Life (Yorkshire Post’s Artbook of the Year), Napoleon and his Artists, Caravaggio and biographies of Samuel Johnson, Joan of Arc and a further study of Napoleon. After retiring from teaching he lived in Norfolk with his wife and daughters, continuing to write books and returning to his beloved France every year. He died in 2006.